Silver and blue Nevada license plate; photo by Norm Russo (used by permission). 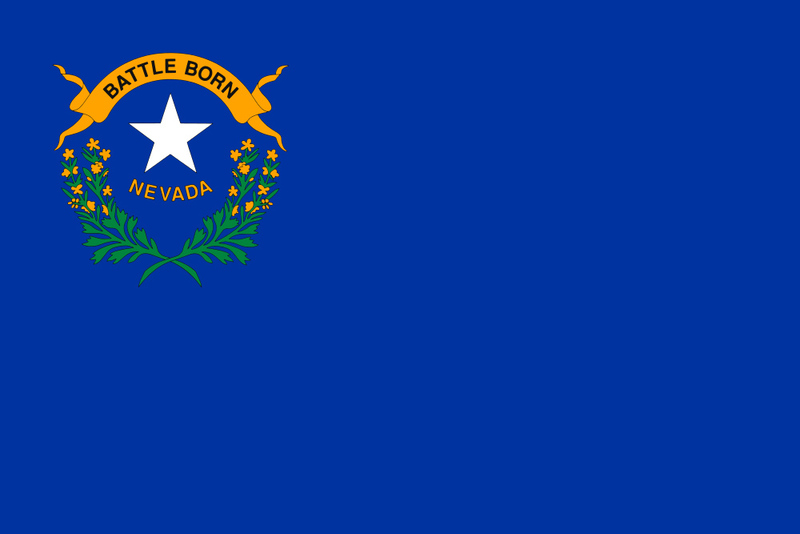 Nevada state flag; "Battle Born" (Nevada joined the Union during the American Civil War). Photo by Open Clip Art Library/Wikipedia (public domain image).